pushing on to build even greater momentum. 1) We are aiming for 5000 petition signatures by the end of 2013. We have a solid start and a lot of community interest. Achieving 5000+ signatures will make it much harder for the issue to be ignored. 2) Establishing a community working group to oversee out campaign and petition collecting. This will simply be a small group of local people who will work together to ensure we reach our goals and plan our activities. If you are interested please contact us. 3) Setting up a Facebook page as a source of promotion and contact for the campaign. Coming soon! 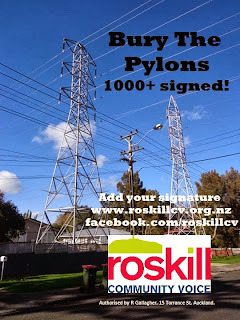 The Bury the Pylons campaign has generated huge community interest. 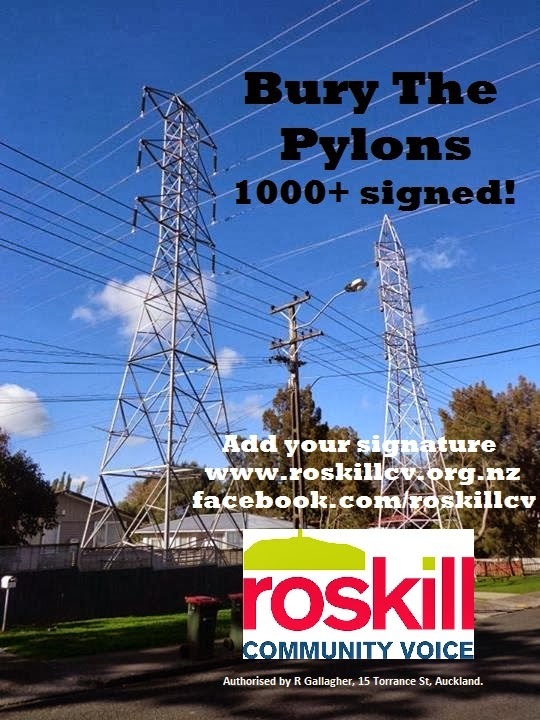 The pylons need to go, but it will take a strong campaign that combines community pressure with political leadership to achieve our objective. We have made a great start - let's keep going!